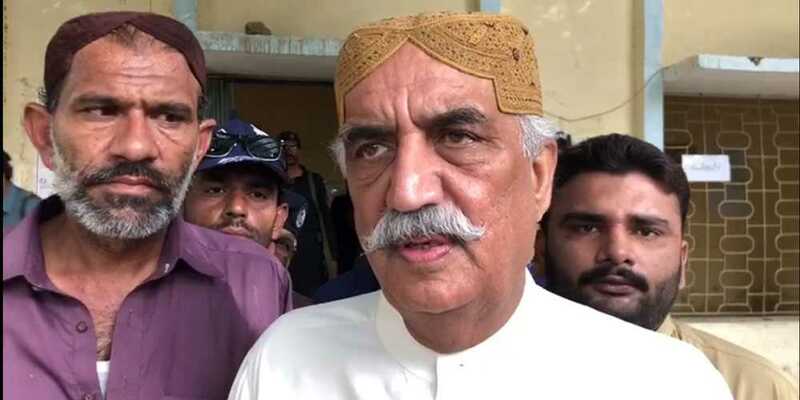 Pakistan Peoples Party (PPP) leader Syed Khursheed Shah cast his ballot in Sukkur's NA-207 constituency. Talking to the media after casting his vote here in his hime town , former opposition leader said he hoped that the election process will be free and fair. Khursheed Shah also critised the election commision in not been able to provide facilities to the voter in his constituency.